The international food exhibition 2011 held in London Excel 13th – 16th March. 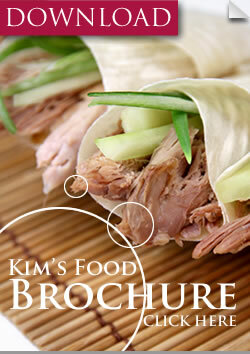 Kim’s Food will be there together with all the leading food manufacturers across the UK. This year we will feature our newly developed products plus demonstrations & food tasting on our range of battered meats & prawns. This year promises to be an exciting year as Kim’s Food relaunches their new corporate identity for 2011. New packaging for all our products and a brand new website to illustrate Kim’s products & services with professional photography & design. Our stand number is S2225 and we are always searching to develop new products. Why not visit us during the show, we look forward to meeting you at the IFE this year!